Home » sent and received » Three lovely violets have arrived! Three lovely violets have arrived! Posted by LaceFaerie on April 6, 2016 in sent and received | Comments Off on Three lovely violets have arrived! 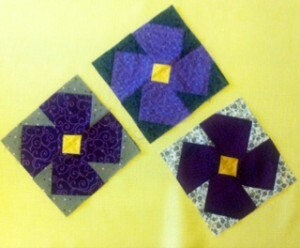 Three lovely violet blocks arrived today! Thank you, Kathleen T. I love your choice of background fabrics!